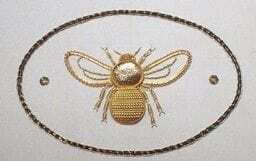 Embroidery can be used as an artistic medium in its own right and to embellish items of beauty and practical use. The wide variety of techniques can be used in traditional and contemporary designs adding detail and focus. Here is some interesting history behind some of the techniques used and taught at the RSN. 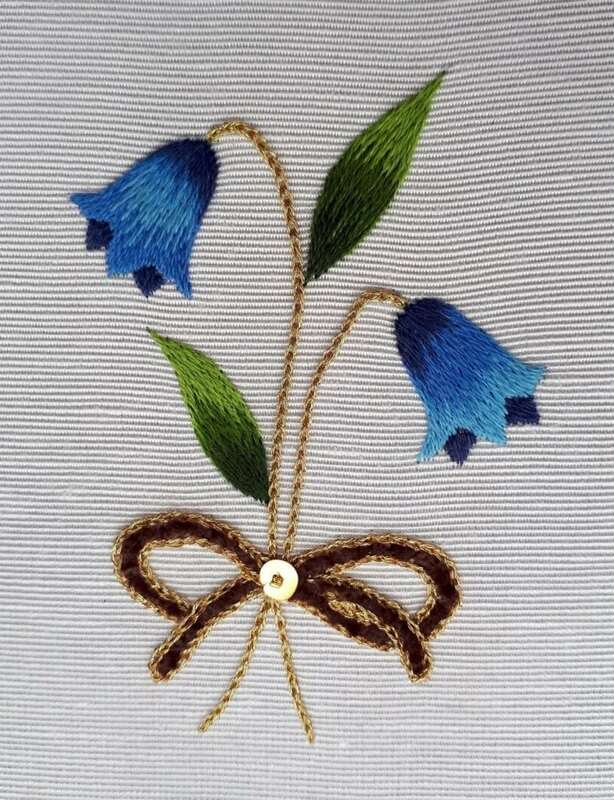 There are many beautiful techniques in hand embroidery: traditional Goldwork used for centuries to symbolise wealth and power; delicate Whitework for weddings, christenings and formal household linens; Crewelwork with the Jacobean style bringing design traditions from Asia; Blackwork seen as a costume decoration of status in 16th-century portraits and still used today for dramatic effects in portraiture; and numerous other techniques for creative and imaginative use. Blackwork is a historic technique that has been developed by the RSN to become a form of tonal stitching. The technique uses a variety of geometric stitches in one colour which enables dramatic effects to be created. Canvaswork is also known as Needlepoint. It is a form of counted embroidery, worked on linen canvas, covering the entire surface with a variety of textural stitches. This technique has its history in military, ecclesiastical and royal regalia, but it also creates the most beautiful and dramatic embroideries. 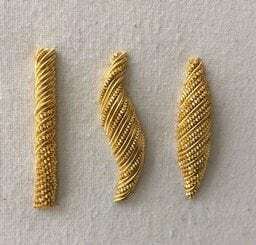 Using a wide variety of metal threads, it can be combined with other techniques to produce luxurious effects. One of the earliest forms of surface stitching, crewelwork uses a range of stitches using crewel wool on linen. 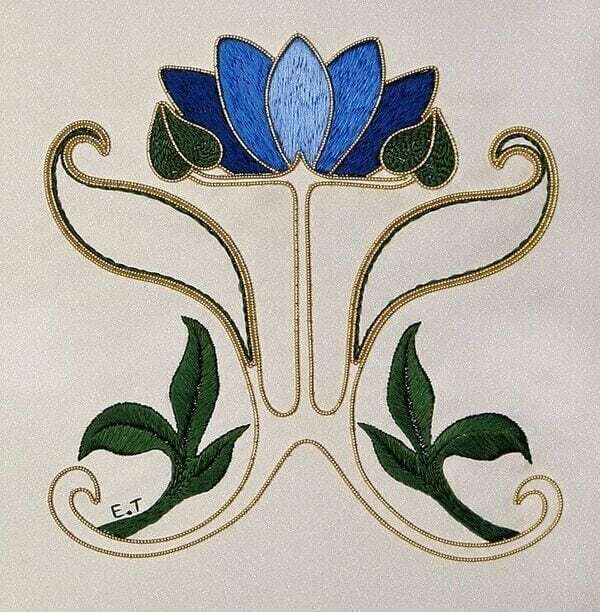 Crewelwork is an ideal technique for anyone new to embroidery. 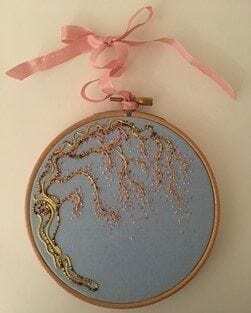 Introducing a range of stitches and an element of shading, this technique can be used for traditional and contemporary designs. 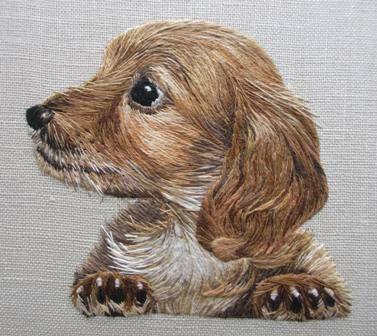 Stumpwork, also known as raised embroidery uses an array of different materials and embroidery techniques to tell a contemporary story in stitch using three dimensional elements. Designs can be varied and imaginative, offering scope for a high degree of creativity. The term apples to a variety of techniques ranging from the bold stitches of Mountmellick and Hardanger to the delicate work of Ayrshire and Fine White embroidery. Traditionally worked with white thread on white fabric and used for bridal and christening wear and ecclesiastical embroidery. Whitework techniques adapt well to contemporary designs and the introduction of colour.